Despite all the benefits of gold, some investors dislike that they can't use the value of their gold purchases for alternative investment. However, that is no longer the case. Discover how you can utilize the cash value of your gold in order to make additional investments without ever having to sell your gold through Georgetown Trust's Gold Loan Program. First, the gold loan program offered by Georgetown Trust offers you a secure place to store your gold. Your gold, and other precious metals if desired, can be placed in a secure facility located in Zurich, Switzerland. Gold is stored in a locked vault, allowing you to have complete peace of mind about your investment whether it is coins or bars. On top of providing safe storage for your gold, the gold loan program allows you to borrow up to 75 percent of the market value of your stored gold. While the gold remains secure in a Swiss vault, you can leverage its value for new kinds of investments. This turns precious metals into a liquid asset that you can use to buy stocks, purchase real estate or use in any way you deem appropriate for your portfolio. There are two primary ways that you can benefit from the gold loan program. First, and perhaps most importantly, you can rest assured that your gold is completely safe, free from the risk of theft and in a secure environment. Knowing your gold is in a vault in Switzerland is far preferable to having it in your home, for example, where it could be stolen or pose a threat to your own safety. Second, the gold loan program allows you to utilize the value of your gold for alternative investments, giving you more financial freedom and flexibility. The first major prerequisite for participating in the gold loan program is holding an existing account with Caye International Bank in Belize. However, if you don't have an account, Georgetown Trust can help you set one up in a matter of days so that you can get started right away. In addition, participants in the gold loan program will need to have gold in the amount of $100,000 USD or more. If you don't yet have gold, we can help you purchase the amount of your choosing and then arrange for it to be stored securely in the vaults in Zurich, Switzerland. 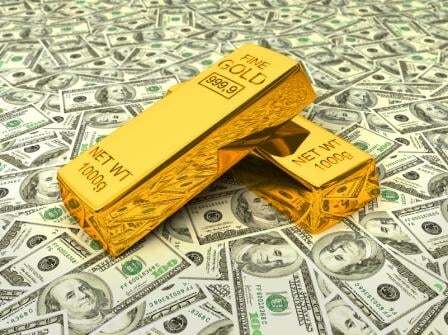 In the event that the amount you have borrowed is more than 85 percent of the value of your gold stored in Switzerland, then you will be asked to provide additional capital to serve as collateral. If you can't provide that necessary amount, then some of your gold may be sold at current market value to cover borrowed funds, and any extra revenue will be transferred directly to your account. Through Georgetown Trust and the Gold Loan Program, you can use the cash value of your gold to your advantage and try out alternative investments while storing your precious metals in a secure Swiss vault.